This year, the Amigos Latinx Gala, sponsored by the Office of Latinx, Asian and Native American Affairs, will be held on Oct. 12 during Hispanic Heritage Month. Each year, Wright State celebrates the Latinx community at the university with the Amigos Latinx Gala. This year, the gala will be held on Oct. 12 during Hispanic Heritage Month. 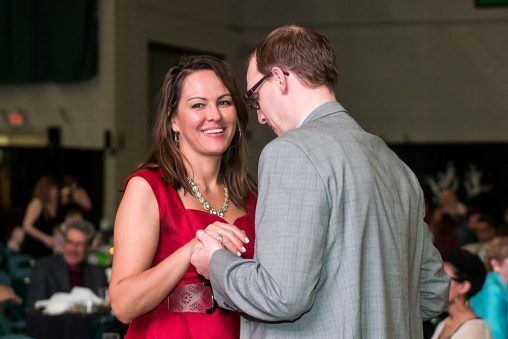 Sponsored by the Office of Latinx, Asian and Native American Affairs (LANA), the Amigos Latinx Gala promotes the success of Latinx students at Wright State. Each year, LANA gives out scholarships to Latinx students who demonstrate excellence. Gabriela Lopez, a sophomore studying chemistry, said the scholarship has helped her greatly. “It meant a lot to me because without it I would not have been able to study at Wright State and fulfill my dream,” she said. Fernando Nardelli Mendez, a senior studying supply chain management and pursuing a certificate in business analytics, said the scholarship means a lot to him. “The scholarship allowed me to fulfill my dreams and be able to graduate. My family and I will always be grateful for the scholarship,” he said. Organizational leadership major Estrella Ana-Maria Alvarez said receiving a scholarship from LANA enabled her to continue her studies at Wright State. “The Melissa Ortiz-Bebbington scholarship gave me the gift of furthering my academic aspirations and the ability to continue Melissa’s mission of advocacy and empowering Latinos in higher education,” she said. Johana Barrientos, a first-generation college student, is a member of Phi Theta Kappa. After graduating with an associate degree from Sinclair Community College, she transferred to Wright State to major in biology and plans to pursue a Ph.D. The scholarship from LANA will assist her in her studies at Wright State. David Villa Villar a senior accounting major from Mexico, said in the future he hopes to reach out to the Latinx community to give education about personal finance. His scholarship allows him to keep studying and get one semester closer to graduation. Juan Maldonado, a graduate biomedical engineering student, looks forward to being a proud alum of Wright State. His scholarship has also enabled him to continue studying at Wright State. The Amigos Latinx Gala will take place Oct. 12 from 6 to 10 p.m. in the Student Union Apollo Room. Participants will be able to enjoy food from Hispanic and Latinx cultures as well as dance.